Blessed are the peacemakers for they will be called the children of God"
Dorothy J. 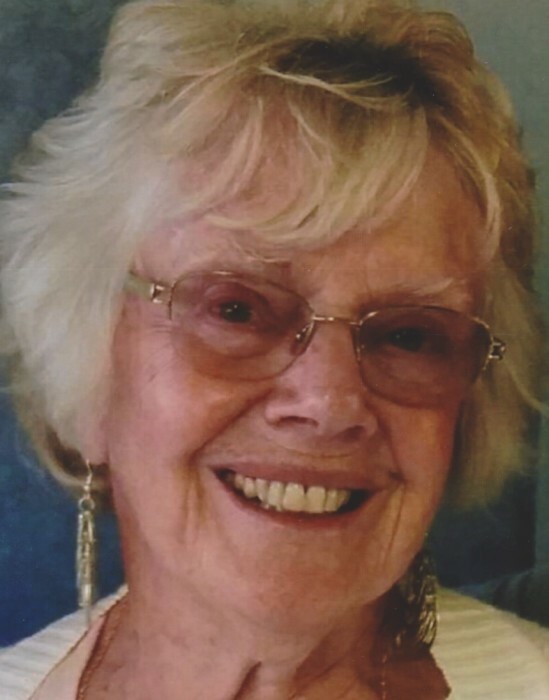 (nee Edwards) Donofrio passed away on Friday, February 1, 2019 at University Hospital Main Campus, surrounded by her loving family, following a brief illness. Dorothy was born in Lorain on January 26, 1934, the daughter of the late Wilbur and Ruby (nee Olson) Edwards. She was a lifelong resident of Lorain and retired from the former St. Joseph Hospital radiology department. She was preceded in death by her four brothers; Wilbur Edwards, Glen Edwards, Donald Sharpless, Erve Sharpless, daughter in law Janet (McHugh) Donofrio, son in law Dr. Bob Rittenour and grandson Carson. She is cherished by Brenne Donofrio and their six children; Carole (Scott) Knowles, Bren Donofrio, Wellsley Donofrio, Sabrina (Tom) Halliday, Nick (Kris) Donofrio, Bobby (Flavia) Donofrio, grandchildren; Adriane (Kevin) Cole, Allison (Kevin) Bubanas, Celeste (Wade) Welsh, Lindsay (Joe) Michalewicz, Lauren (Dean) Johnson, Brandon Hite, Kalee Donofrio, Nicholas Donofrio, Nathan Donofrio, Anthony Donofrio, Isabella Donofrio, Giovanni Donofrio, great grandchildren; Mariana, Roman, Reid, Jade, Christian, Weston, Saige, Nolan, Roma, Isla. A Celebration of her life will be held at 6:00 PM on Saturday, February 9, 2019 at Sheffield Church Of God, 2280 North Abbe Road, Sheffield Village, Ohio 44054 with Pastor Scott Skeens and Pastor Lonnie Rittenour as celebrants.